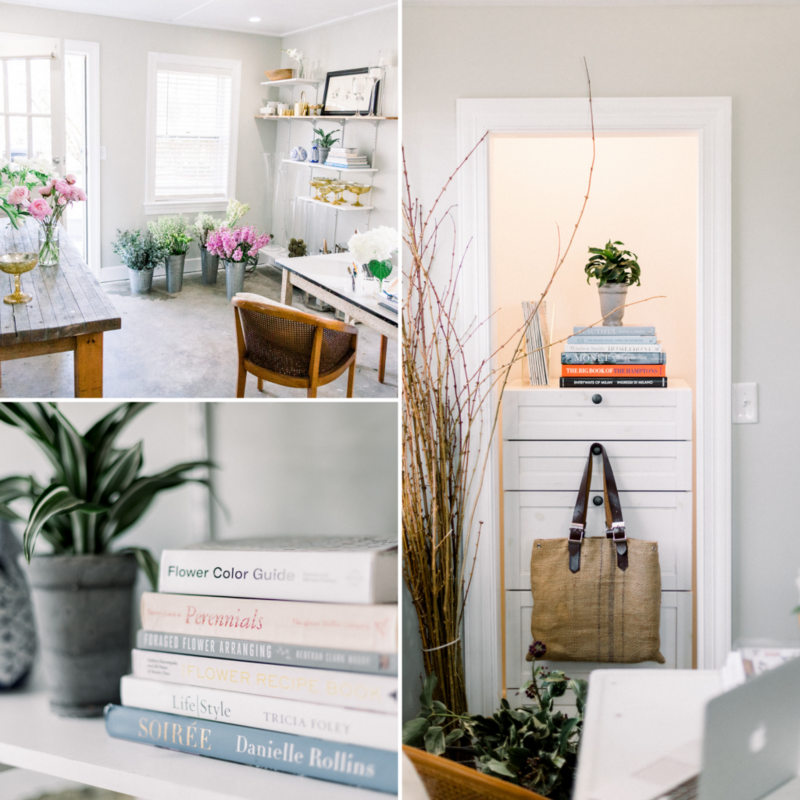 From the moment you pull up to the home and studio of Wandering Petal owner, Nicole Turkenkopf, it is clear that flowers are a big part of her life. 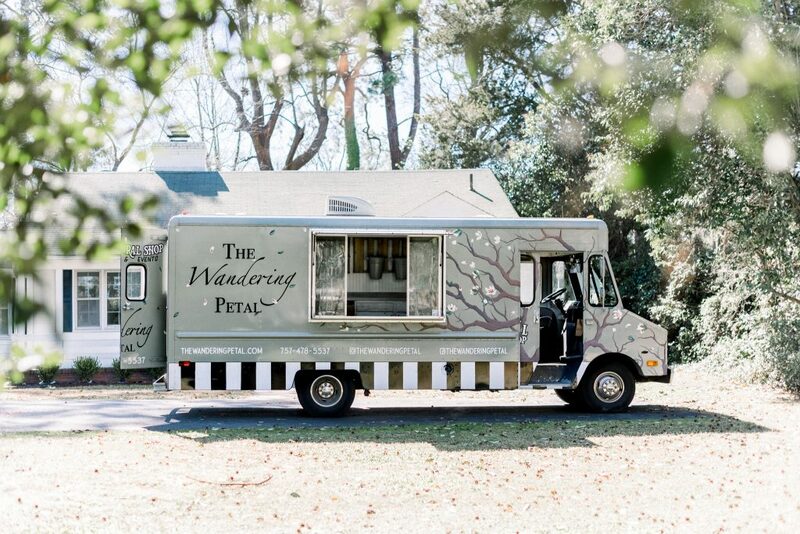 On a lot surrounded by camelia and dogwood trees, you can not miss the large, mobile truck that sits on the property, so perfectly branded it feels whimsical and inviting, not at all out of place. We were then welcomed in by Nicole herself, as she gracefully opened the door to her home studio, but not before being greeted by Barrett, her adorable, adopted beagle and dachshund mix. It felt more like we were visiting an old friend than approaching a serious business owner, yet that she certainly is. Just a step inside the studio, the air is filled with the smells of hydrangeas, peonies, tulips and more that covered her work table. We watched and listened as Nicole effortlessly assembled a romantic arrangement. 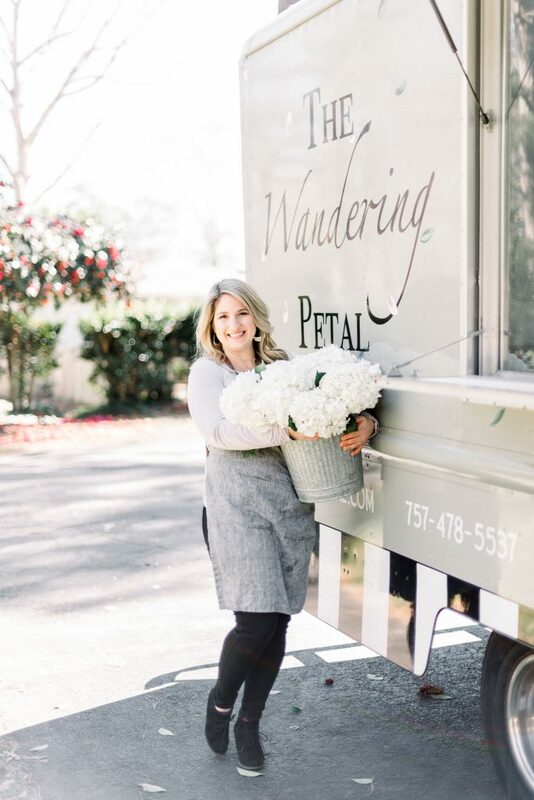 Wandering Petal is a custom, boutique florist that provides unique florals and arrangements for brides and clients throughout Virginia Beach. 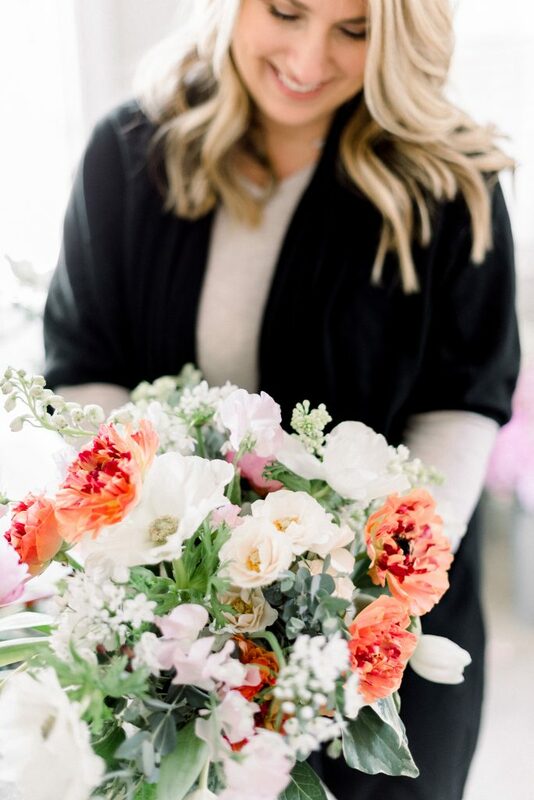 Nicole was born and raised in central California and later moved south to Coronado where she started her floral design career in 2012. 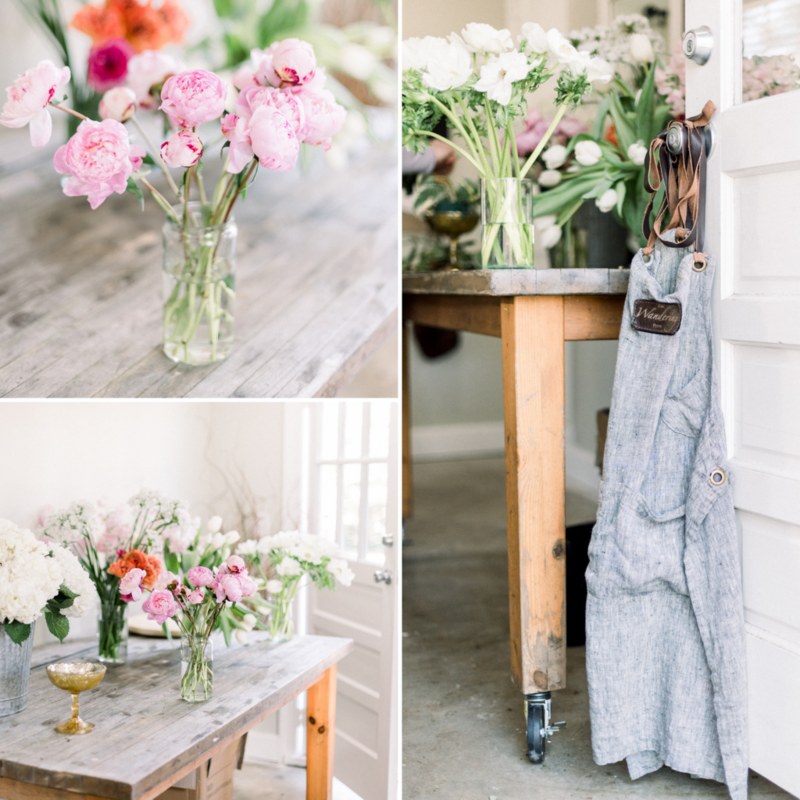 “I loved the flower markets in San Diego, which have really influenced my designs today. Everything was so fresh and high-quality. It really taught me to pay attention to what grows where, what time of year, and how to obtain the blooms. I really value the sourcing aspect. I do not keep product on hand or in a fridge,” Nicole shared. At some point in Nicole’s husband’s 26-year career with the military, and becoming parents of two, they found themselves in Virginia Beach and have been here ever since. 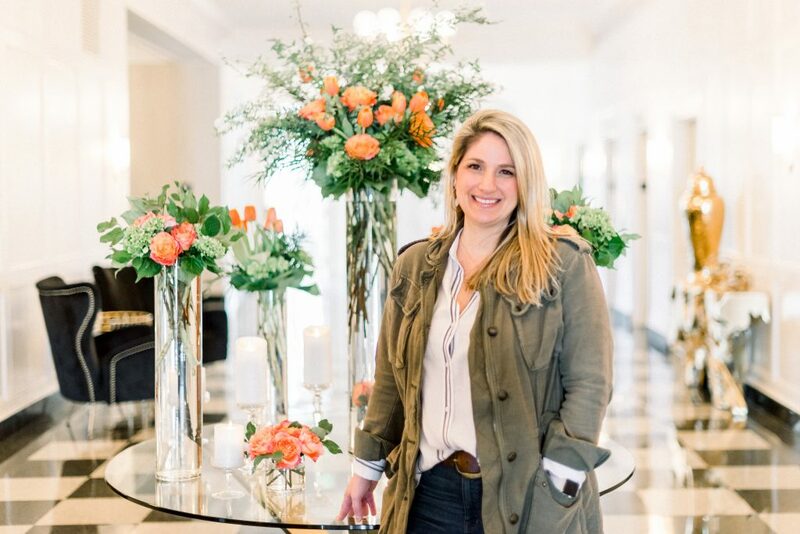 In addition to being the sole owner of Wandering Petal, Nicole earned the coveted role of House Florist at Virginia Beach’s prestigious and reimagined Cavalier Hotel. 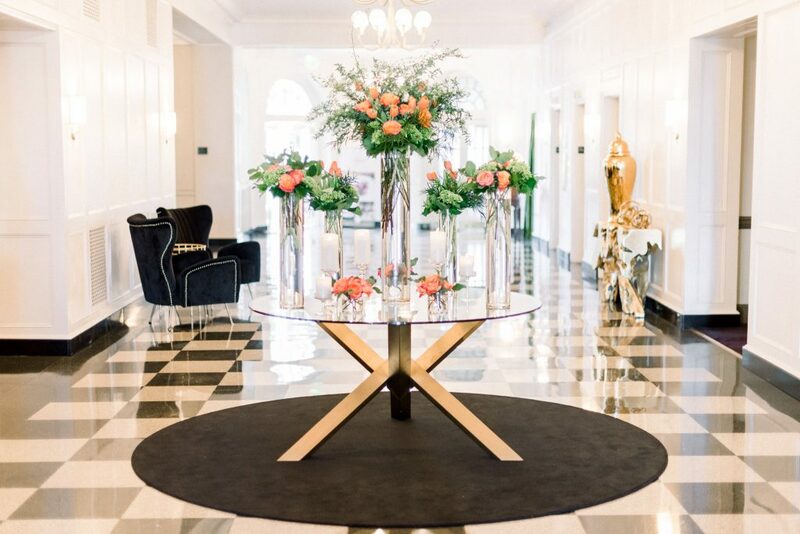 Nicole is responsible for designing the main lobby arrangements and refreshing it once a week. Aside from opportunities like this, among other workshops and events throughout the area, Nicole’s focus is really on her brides. “The relationship with my brides is really important to me. I always want to be able to give each wedding or big event the time and attention it deserves. I have a mobile shop I can take anywhere, that also really helps with transport and quality control, which is something else I am not willing to compromise on,” Nicole explained. That high-quality result is apparent in her work and a big reason why her calendar has steadily filled up over the years. “The year after my first wedding season was definitely my proudest moment. It allowed me to realize that I could do this and it felt so good to know that my brides and clients were happy. Weddings can be a lot of pressure and I proved to myself that I could handle it,” Nicole expressed. Part of maintaining a level of quality control is knowing where you are in the market, what the demand is, and ultimately, what works. 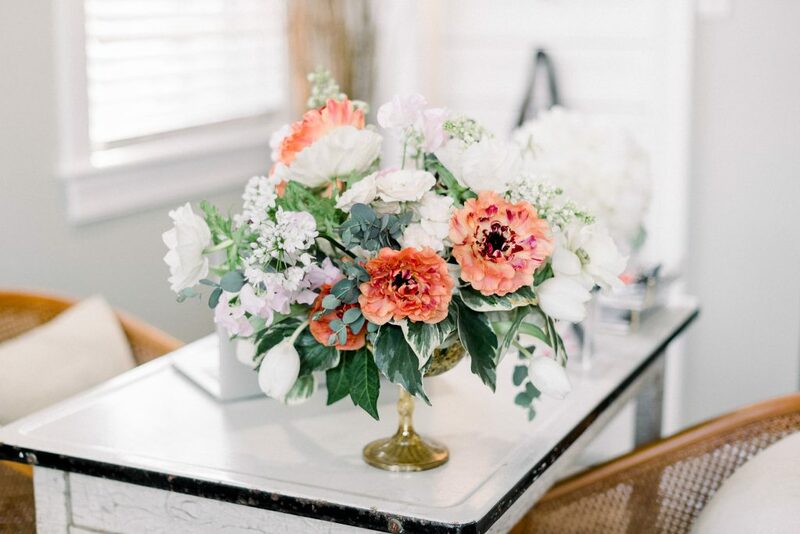 “There is definitely some initial learning to knowing who your ideal client is, but I have been able to find a good fit with a three thousand dollar minimum budget for weddings. That way, there is no compromising when it comes to sourcing the highest quality product direct or from my wholesaler. The product is delivered right to my door in time for each event,” Nicole elaborates. That being said, Nicole’s biggest challenge has been dealing with a potential client’s budget and sticking to those brand standards for value and expertise. 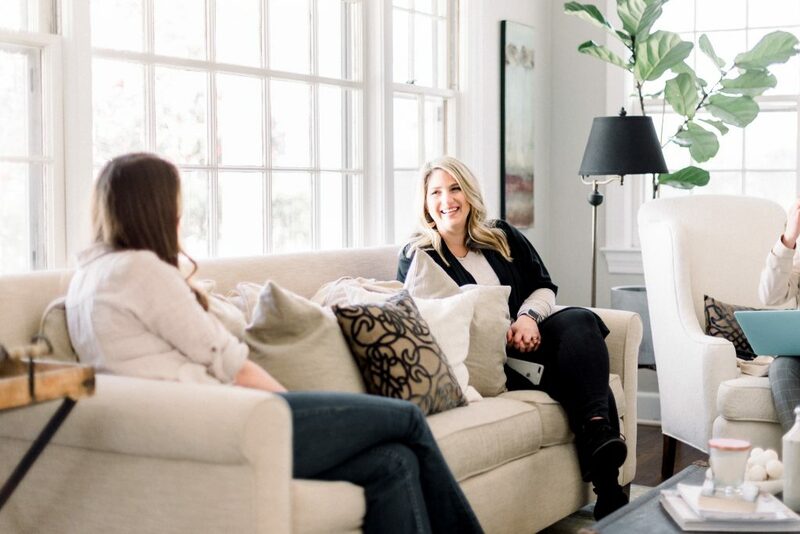 Despite overcoming pricing objections, Nicole shared that a current favorite thing about her business is that she feels the inquiries she has been receiving are from people who understand what she does. “It finally feels like clients are coming to me for me, which has been such a rewarding experience and made me all the more confident in my business and my abilities. I am a real people person, so I always want for their expectations to match their experience with me. When that’s happening, I am very happy,” Nicole smiles. Wandering Petal’s style is a beautiful mix of the carefree spirit of California, with the elegance of European influences. It fits perfectly within the modern and trendy weddings of today, without feeling like it is ever going out of style. Nicole’s design process starts with getting in touch and chatting through an initial free consultation. “I like to hear their ideas and see their Pinterest board so far. I am a very visual person so this helps me get on board with what they are thinking. Then we discuss details like number of guests, venue, date, and budget. We will later meet up a month or two before the wedding day to finalize any further items. Then I show up and do my thing! 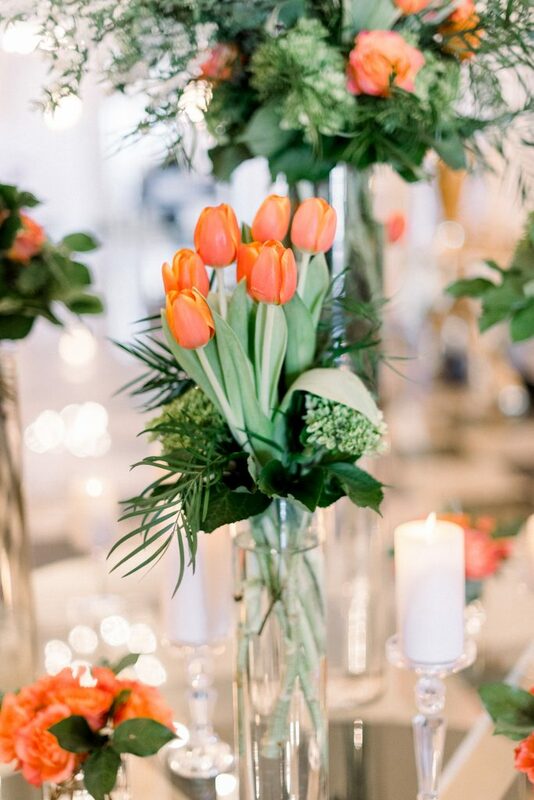 It is an all-encompassing floral service,” Nicole outlines. 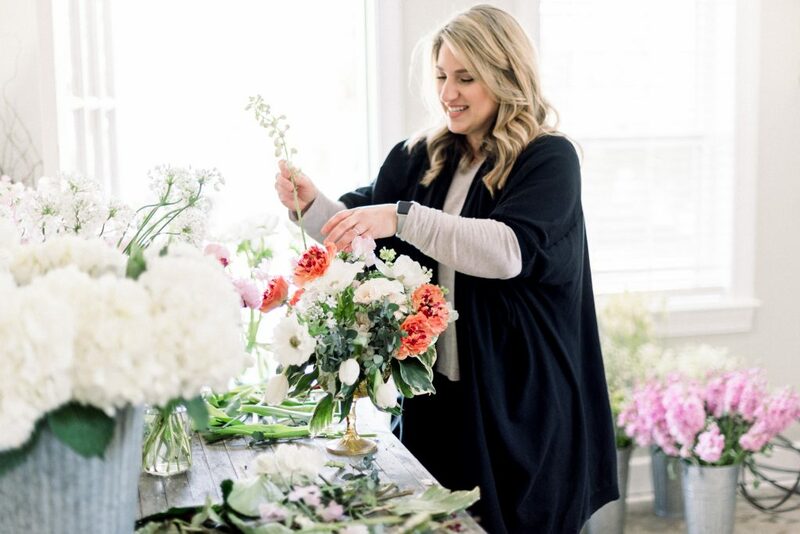 Nicole is excitedly gearing up for a full 2019 wedding season, heading to London on vacation in April where she is sure to pull inspiration, and attending a master flower class in New York this July. 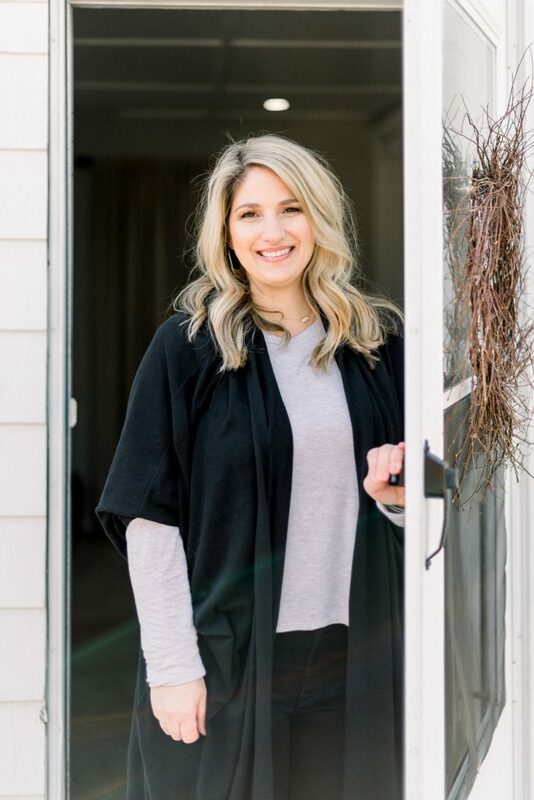 On top of all that, you may catch Nicole at various garden clubs, providing demos to the ladies; helping out with baby showers, birthday parties, popping up at Farmers Markets, or hosting a workshop. Despite keeping a full calendar, Nicole is conscientious about not overfilling it. Including evenings venturing out to local favorite dining spots like Stockpot, Eurasia, The Atlantic, and Coastal Grille with her husband. “I didn’t become my own boss to give any of that precious time up,” Nicole affirms. Instagram is an outlet that shows a regular variety of Wandering Petal’s work. 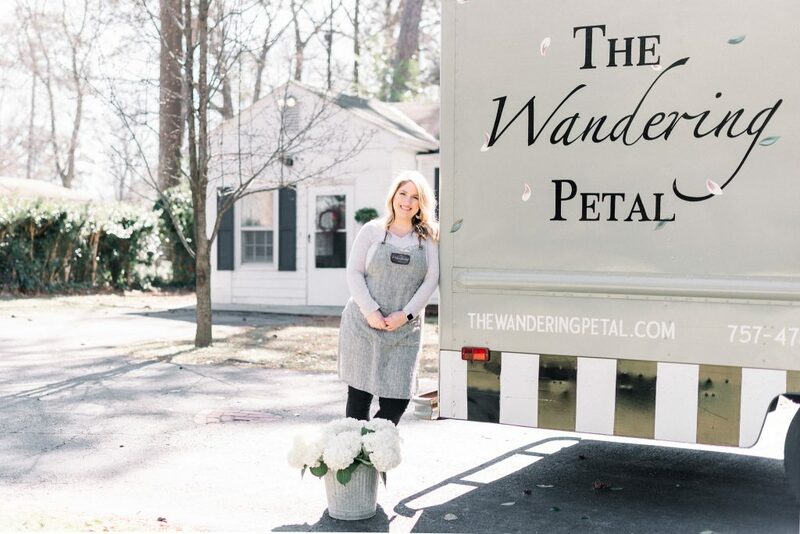 You can also find Wandering Petal on Facebook or get more information at wanderingpetal.com. Keep an eye out for pop-ups or workshops at nearby businesses like Plant Bar, Tempt, Aloha Snacks, or the Old Beach Farmers Market. And if you are a bride, be sure to get in touch early for the full Wandering Petal experience.